312style: a FLARE for fashion. 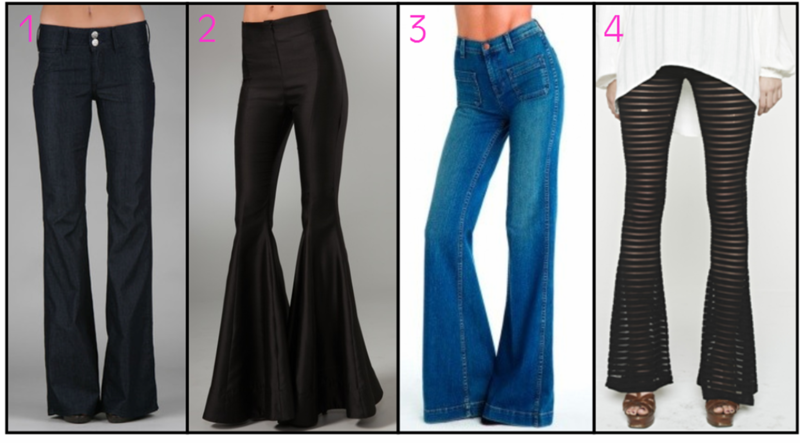 1) Sleek and modern dark denim: Habitual Jeans, $185, Couture Candy. 2) Over-exaggerated 70s perfection: Ellery, $900, ShopBop. 3) High-waist pure denim: J Brand, $219, Singer 22. 4) Sheer relaxed bells: American Gold, $134, Stanton James.